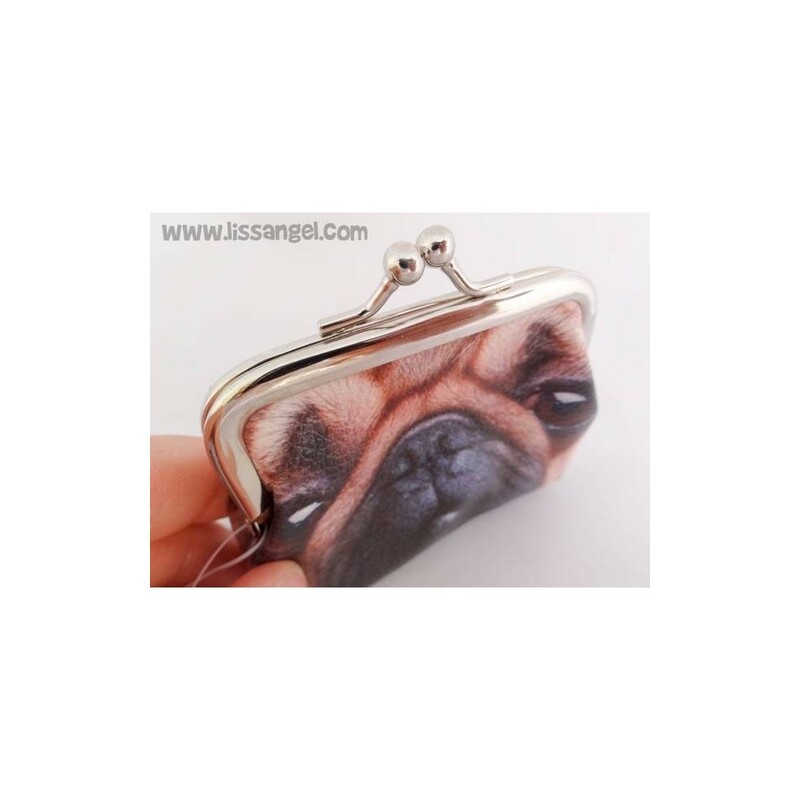 Our assortment of pug dogs inspired products is already huge, but we do not get tired. 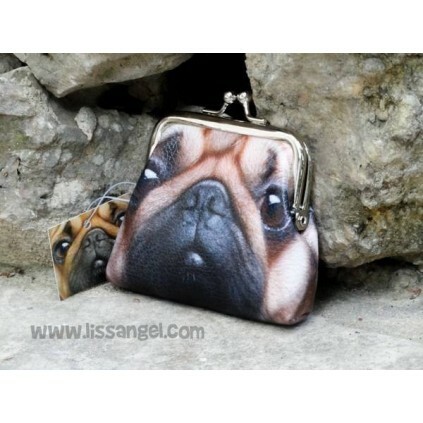 The pug are so special and cute dogs that they deserve a thousand more products. 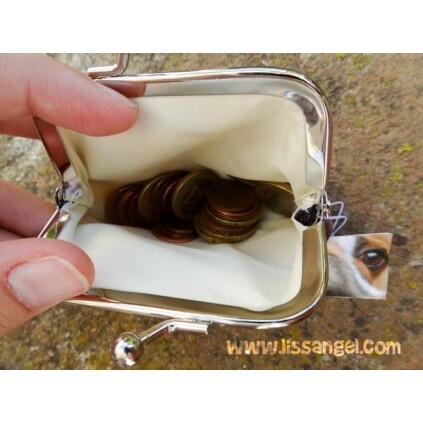 We present this handy purse made of very soft synthetic leather. 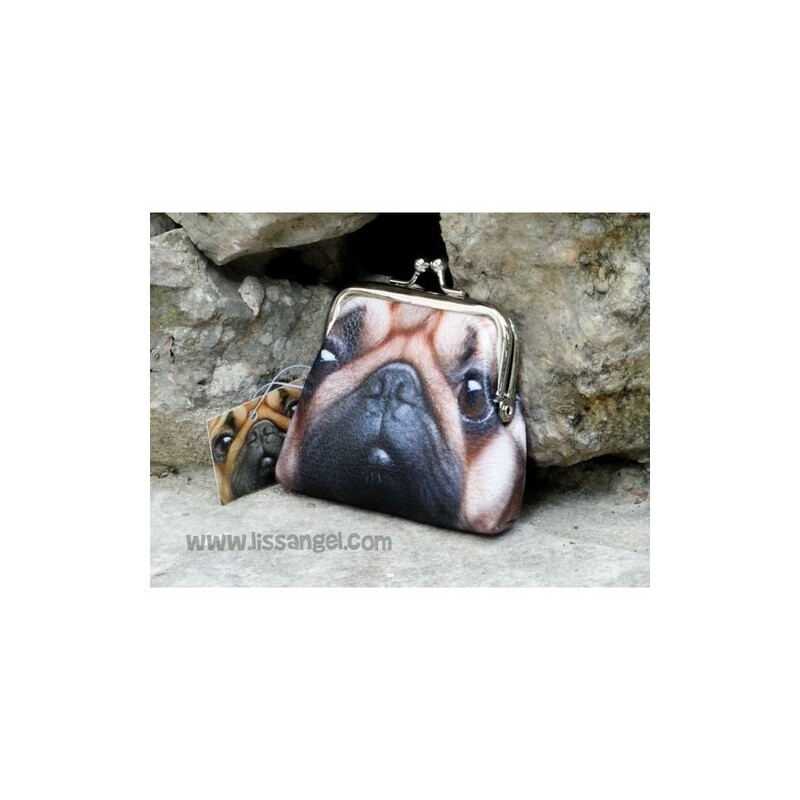 On both sides of the purse, it is stamped a face of a cute pug dog. 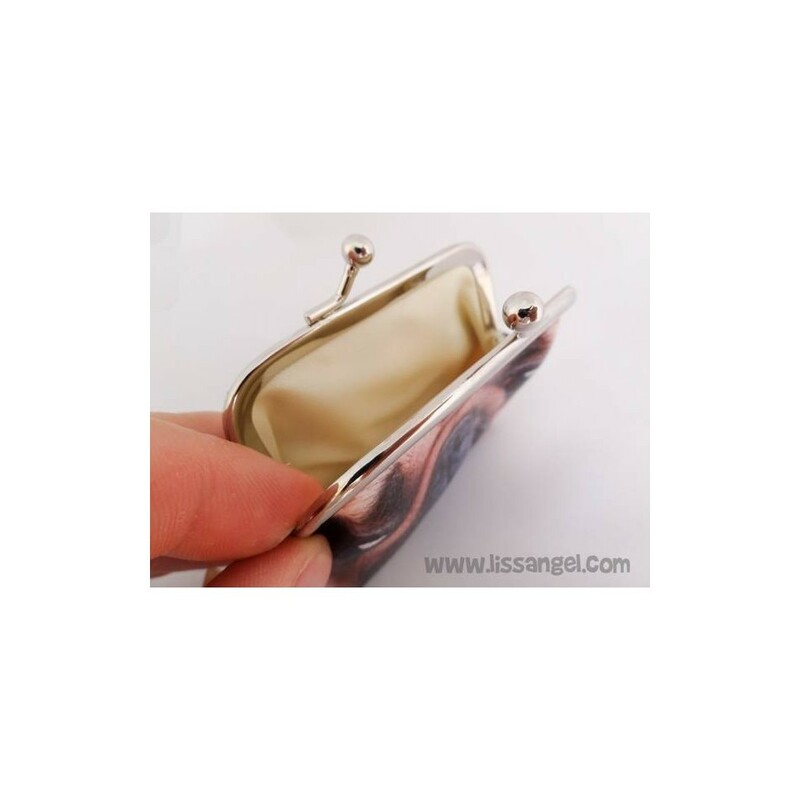 With metal closure and beige color cloth interior, this purse will be the envy of all. 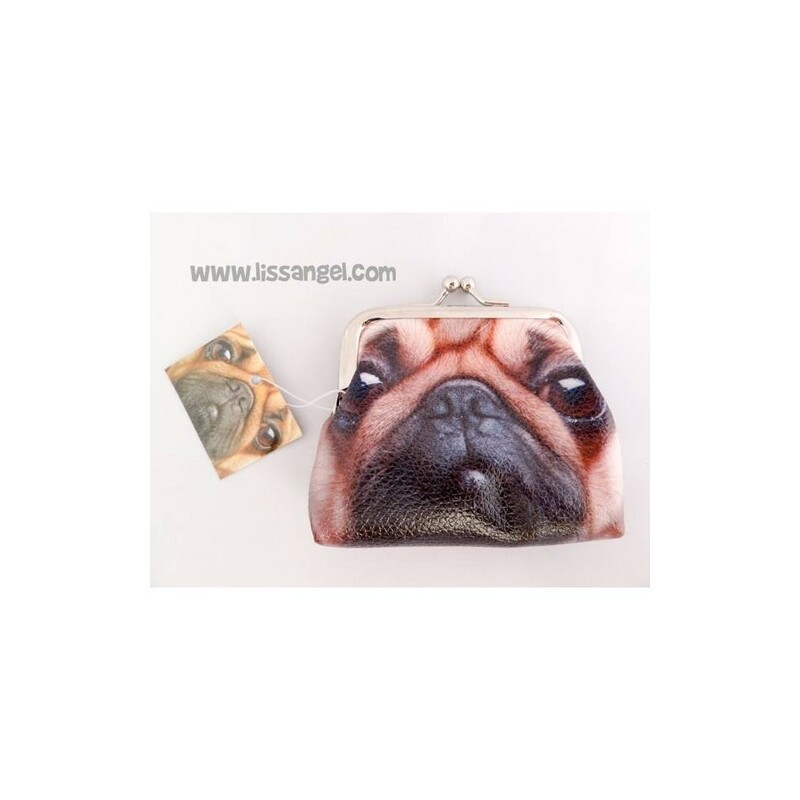 As a dog lover, if you're reading this, this purse is for you ... Another option is that you want to give to that family member or friend who has a pug dog... With this purse you hit sure! 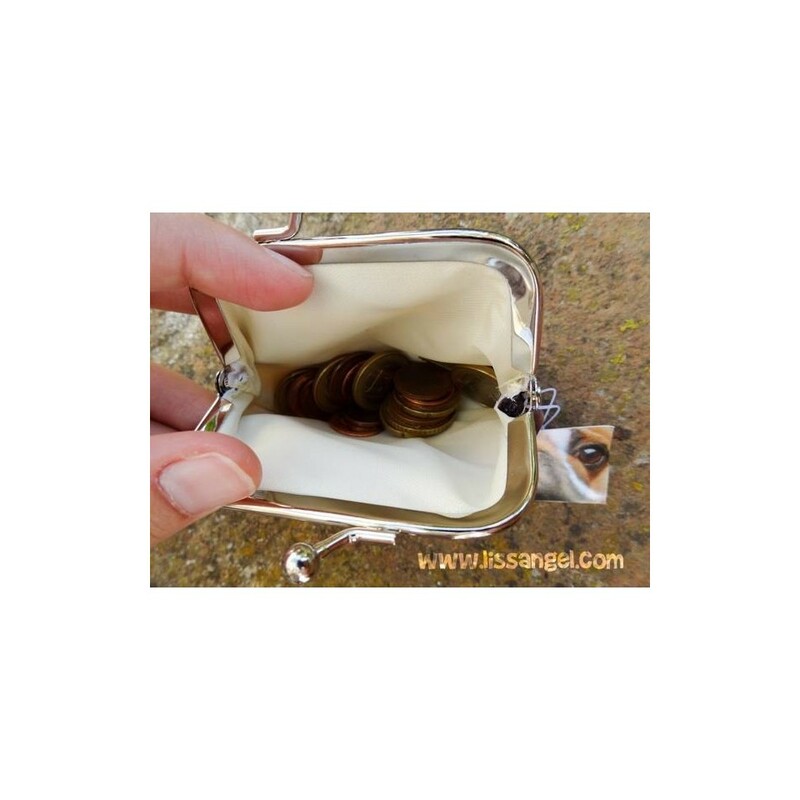 Elegant wallet inspired by the Eiffel Tower in Paris, with a beautiful bird perched on a rose.